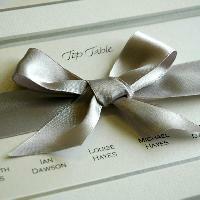 Your table plan is a stunning centre piece at your wedding and it is best displayed at, or near to, the entrance of the reception. 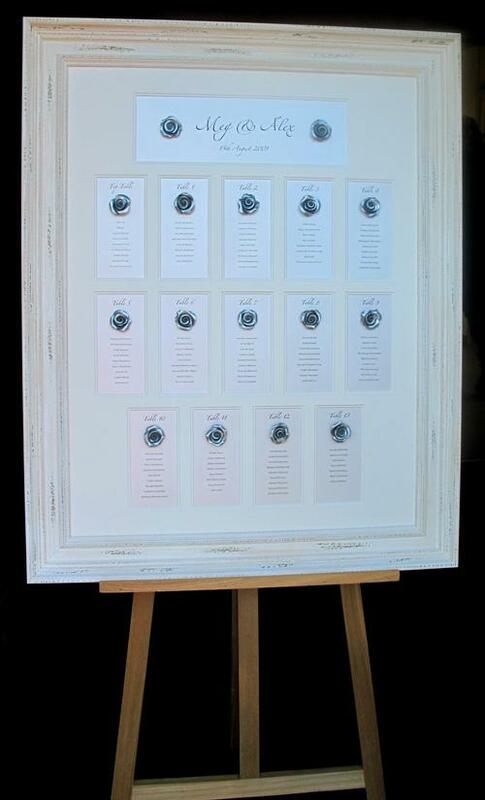 We recommend that your table plan is displayed on an easel in its 'own space' to enable your guests to move around it and allow enough people to view it together. This is especially important for large plans of 10 or more tables. It is wise to check in good time that your venue has an easel for this purpose. Smaller plans can be displayed on a table using a table easel or something similar. If space is an issue then we would suggest that the table plan is placed upon a wall. For safety reasons we do not supply our plans with glass (in addition the glass can be difficult to read through at the reception). If you wish to have your plan glazed after the wedding then a local framer should be happy to do this for you at a cost of around £15-£20.